Further light is shed on the subject if one considers that the highest norm of human life is the divine law—eternal, objective, and universal—whereby God orders, directs, and governs the entire universe and all the ways of human community, by a plan conceived in wisdom and love. Man has been made by God to participate in this law, with the result that, under the gentle disposition of divine Providence, he can come to perceive ever increasingly the unchanging truth. Hence every man has the duty, and therefore the right, to seek the truth in matters religious, in order that he may with prudence form for himself right and true judgments of conscience, with the use of all suitable means. God is the author of all truth and all good. All of what is true and good in our world and cosmos finds its source in God, the Creator of all. Moreover, what is true and good about ourselves as human beings finds its source in God in that he created us in his image and likeness. Thus, for the Council Fathers, all that exists is in conformity with the divine law, the providential plan of God. Because of this, the Council emphasizes that truth must be “sought after in a manner proper to the dignity of the human person and his social nature.” This means that human beings must be free to seek the truth. However, human beings do not seek the truth as isolated individuals. The search for the truth is common to all, and so all share in the finding of truth and all share in the receiving of truth from others. Because the search for truth, the finding of truth, and the sharing of truth is a social exercise, human beings must not only be free to search for truth in the hope of finding it, they must also be free to communicate and discuss together the truth they believe they have found. It is through our free assent that we each personally lay hold of the truth. What are the contemporary means of seeking, finding, and sharing truth? In what ways can this freedom to seek, to find, and to share be inhibited? For Day One’s Reflection and Introduction. IT IS IN ACCORDANCE with their dignity as persons—that is, being endowed with reason and free will and therefore privileged to bear personal responsibility—that all men should be at once impelled by nature and also bound by a moral obligation to seek the truth, especially religious truth. They are also bound to adhere to the truth, once it is known, and to order their whole lives in accord with the demands of truth. The recent statement, “Our First, Most Cherished Liberty” written on by USCCB is a reminder of what is truly the focus of the HHS Mandate. It is worth the 12-page read. This video reflects the voice the Bishops’ concern, that the HHS Mandate violates our Religious Liberty. We must first of all, stay faithful in our prayer. Pray for our Bishops. Pray for Congress. Pray for the protection of religious liberty for all citizens. We can begin by making ourselves more aware of how our religious liberty is threatened. Go to the Religious Liberty page of the USCCB website, and read about it. Bishop Soto also encourages the faithful to read the latest Catholic Herald special report on Religious Freedom. Share this post with your friends and family, and ask them to do the same with others they know. Know who your elected representatives are, and write to them about your concerns. Go to the USCCB action center and see what petitions regarding religious pending need your help. June 9, 2012 – Eucharistic procession on the Feast of Corpus Christi, following the 5pm vigil celebration at the Cathedral of the Blessed Sacrament. Bishop Soto will personally lead the procession, with stations of adoration along the way. June 21 – July 4 – A Fortnight for Freedom, the fourteen days from June 21—the vigil of the Feasts of St. John Fisher and St. Thomas More—to July 4, Independence Day, be dedicated to this “fortnight for freedom”—a great hymn of prayer for our country. And pray. We must pray daily for our Bishops and the religious leaders of all denominations that they will be united in the defense of religious liberty in our nation. We must pray for wisdom to know what to do, and for the courage to stand firm in our faith. May we turn to Mary, who acted with her own free will and became the Mother of God, intercede for us. Watch this. Be offended. Speak up. My blogging friend Jean M. Heimann at Catholic Fire tagged me in her meme “Three Favorite Religious Books” (outside the Bible, of course). This is a tough one since I have a long list of spiritual classics that I turn to often. So, I am subtitling this post, “The Three Religious Books I Turn to the Most“. This Rule was written and completed by Saint Magdalene for her Daughters in 1815. 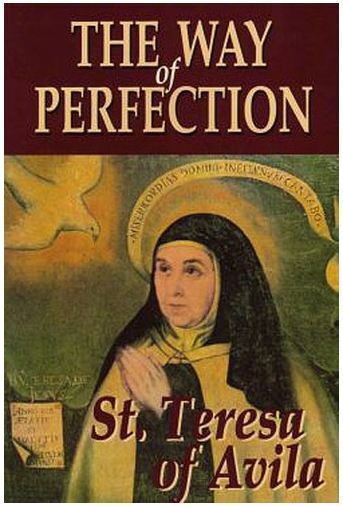 One reason I love this book above all others is her wisdom of the importance of virtue in the Canossian life. 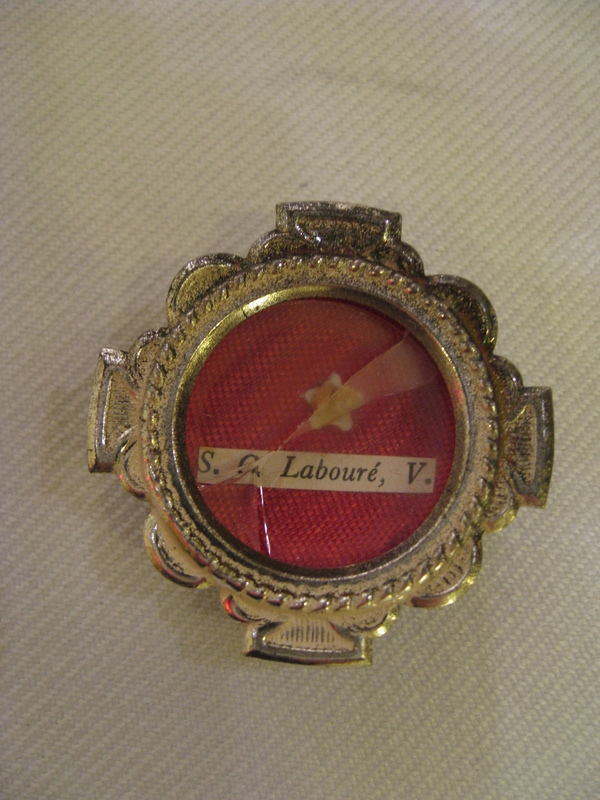 It is “…applied to the Virtues of which our Great Model gave us a special example on the Cross…”, the virtues of charity, obedience, humility, poverty, mortification and modesty. By contemplating Christ Crucified in our prayer, we learn to extend the love we find there to our neighbor in our apostolic labors. To read her Rule, there is a work started at Heart of Flame blog, taking her Rule, beginning with the preface and slowly reflecting on it in the context of the modern day. Saint Teresa has been one of my spiritual guides ever since I was introduced to her ‘bookmark’ (Let nothing disturb you…). Her wisdom and common sense approach to the spiritual life always challenges me, and gives hope that holiness is not only possible, but attainable. This wonderful book is full of prayers, devotions, reflections and Mass propers. 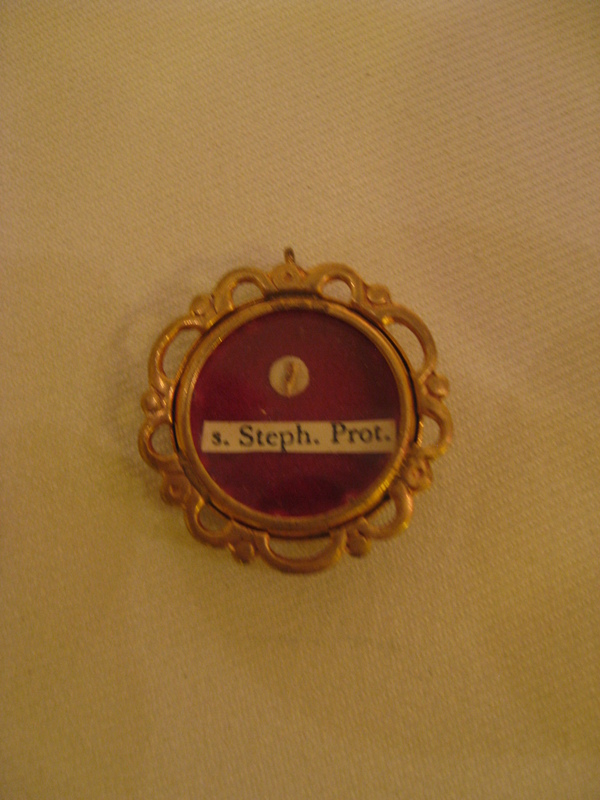 It is the book that introduced me to St. Teresa’s Book Mark (on page 229, pictured above). My copy was printed in 1944, and has all the thee’s and thou’s. I wonder if anyone has an edition later than that, and if the language was maintained. It is truly a gem, and because of its compact size (4″x6″x1″), its 720 pages can often travel with me. There you have it. My three favorite religious companions. What are yours (consider yourself tagged)? All Holy Men and Women of God, Pray for Us! – St Teresa of Avila, Pray for Us! – St Stephen Protomartyr, Pray for Us! – St Josephine Bakhita (Canossian Sister), Pray for Us! – St Teresa Margaret of the Sacred Heart of Jesus, Pray for Us! – The Holy wood of the Cross of Christ. – Blessed Anna Maria Taigi, Pray for Us! – Saint Catherine Laboure, Pray for Us! 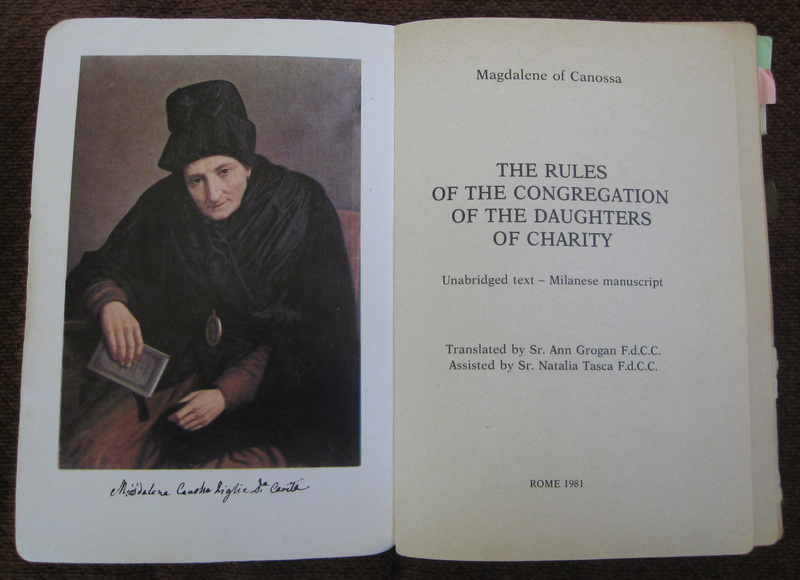 – St Magdalene of Canossa (Our Foundress), Pray for Us! This past Sunday, in both the first reading from Isaiah and the Gospel, we hear of the vineyard. Isaiah, chapter 5 is a song of a vineyard well prepared, and yet yields wild grapes. The Gospel tells the parable of the evil tenants who do not do the owner’s bidding. I have asked Fr. Pius Amah if I could share his homily with my readers, as a guest writer. Enjoy! The message today goes to tell us how much God hurts in great disappointment when we do not respond to his love for us. Starting from the time of creation, God has been abundantly generous and loving in providing for we need to be joyful and happy. In spite of all this, what do we give God in return? Misuse of all the talents and resources at our disposal due to our selfish interests which, in the end, turn back on us and hurt us. It is quite evident in our personal experience, when parents and teachers sacrifice time and talent and material to give to their kids the best they have to offer. Often, their task is not rewarded. When all the love and care they show is greeted by disrespect and disregard to their requests (like the landowner who expects his due from the tenants of the vineyard). The first reading today underscores God’s expression of disappointment with the people of Israel; the parable told by Jesus in the Gospel points toward the same conclusion. God has his expectation of us. According to the Biblical wisdom he sees us as his coworkers. We are made in his image and we are related to him in a sacred partnership, in a covenant. The question now is, do we live up to what God expects from us? He chose us to go into his vineyard and work, to go into the world and yield sweet fruits that will last, not acidic grapes that will bring illness upon us like a cancer. Because of a lack of trust and patience in God, we often go out of our way to take our destiny in our own hands, ignoring God’s warnings and cautions. To fast track needs and desires we slip into worries and anxieties, we become visibly nervous about health issues and financial problems. The world and its affairs are too huge for us to handle without God’s help. Even when your situation does not change as you want, God promises to give you the peace of mind in the midst of your troubles. It will be the type of peace no other person or material possession will give you. Therefore, my brothers and sisters, trust and obey God, because there is no other way to be truly happy, other than to trust and obey God who has employed you to live and work, and will give the appropriate wage of life both here and in eternity. Original Image worn by every Canossian Daughter of Charity. 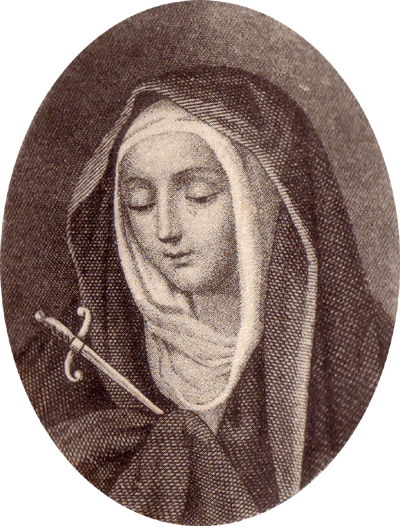 Tonight we began the seven commemorations of our Lady of Sorrows, in preparation for her feast day, September 15th. to include such horrendous pain. For what else shall we pray? Mater Charitatis, Ora pro nobis. 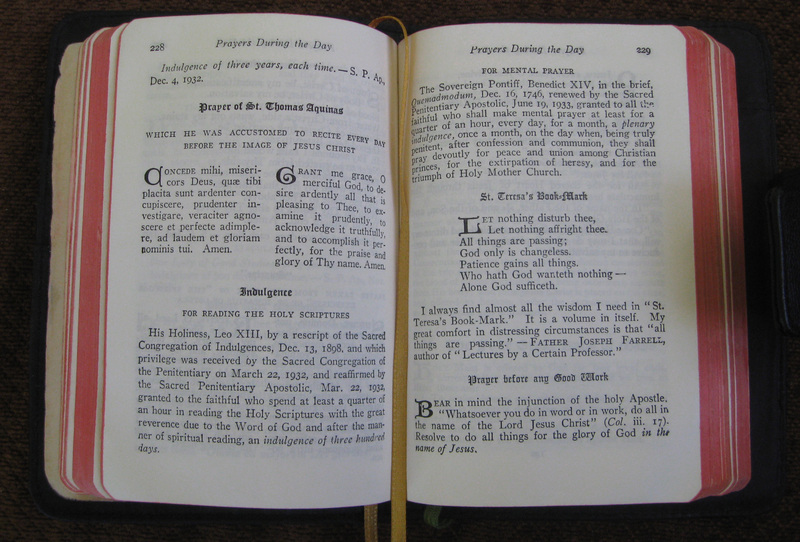 As I was writing a post on today’s Gospel, I came across a treatise by Saint Alphonsus de Liguori on prayer. The words are so inspiring, I thought you might benefit from it as much as I did. Enjoy! Let us pray, then, and let us always be asking for grace, if we wish to be saved. Let prayer be our most delightful occupation; let prayer be the exercise of our whole life. And when we are asking for particular graces, let us always pray for the grace to continue to pray for the future; because if we leave off praying we shall be lost. There is nothing easier than prayer. What does it cost us to say, Lord, stand by me! Lord, help me! give me Thy love! and the like? What can be easier than this? But if we do not do so, we cannot be saved. Let us pray, then, and let us always shelter ourselves behind the intercession of Mary: “Let us seek for grace, and let us seek it through Mary,” says St. Bernard. And when we recommend ourselves to Mary, let us be sure that she hears us and obtains for us whatever we want. She cannot lack either the power or the will to help us, as the same saint says: “Neither means nor will can be wanting to her.” And St. Augustine addresses her: “Remember, O most pious Lady, that it has never been heard that any one who fled to thy protection was forsaken.” Remember that the case has never occurred of a person having recourse to thee, and having been abandoned. Ah, no, says St. Bonaventure, he who invokes Mary, finds salvation; and therefore he calls her “the salvation of those who invoke her.” Let us, then, in our prayers always invoke Jesus and Mary; and let us never neglect to pray. Saint Alphonsus de Liguori, Pray for Us! “Prayer and the Priesthood” is my most popular. Hopefully, it has encouraged some to pray for our priests! One of my most controversial post is “Prayer for Life“. It was controversial, not so much on my site, but at the link over at Reddit, where I made known I would pray for a woman in a crisis pregnancy…in the end she decided to abort her child. It was the post where I felt most vulnerable, as it was the first time, I shared the fact I am a “survivor” of abortion. Linked to it was my disappointment of the outcome, as I ponder, does my prayer matter at all: “Making the Difference“. My “In the Habit” Series, thanks to some encouragement by the Anchoress, and her hosting them over at Patheos in the “Habit of Witness” series. It’s one reason I don’t write much poetry on my blog; they get pretty much ignored (granted, I’m no John of the Cross): “Caught in Awe“. 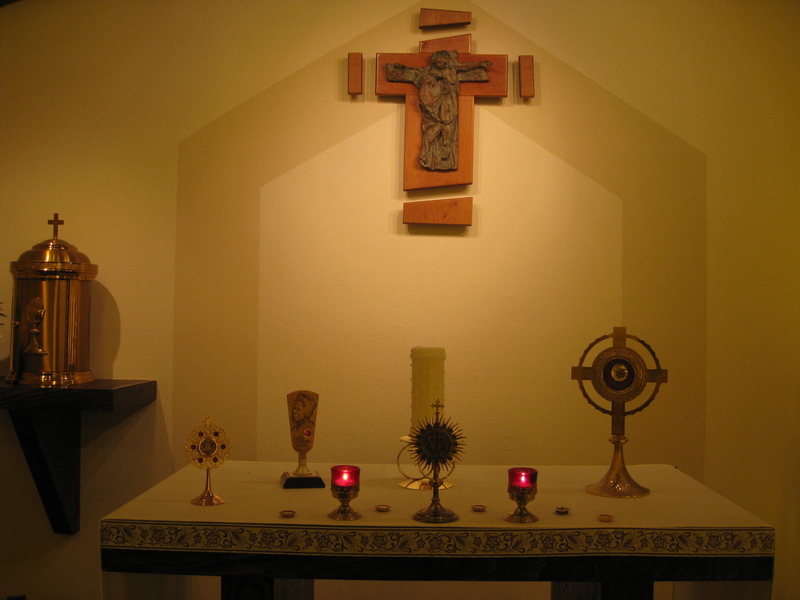 My reflection on what the consecrated life is about, in “Wasted for Love“. On June 27, my Sisters posted on our community blog, asking for prayers for our Sisters and the people of Sudan, through the intercession of Saint Josephine Bakhita (our wonderful Sister-Saint Bakhita – which means ‘Lucky One’ in Arabic – was kidnapped from her Sudanese family when she was nine and sold into slavery. You can read her story here). We have received a letter from the Canossian Leader of the Province of North-Eastern Africa, which includes the country of Sudan. In her words there is rejoicing for the independence of Southern Sudan, and yet, a continued call to prayer for our African brothers and sisters during this time of transition. I ask all of my readers, if you would please join us in praying for the Holy Spirit to guide our communities of Sudan during this time of discernment. May Saint Bakhita intercede for us still. Dearest Sisters, Greetings of peace in the Lord. As you have already heard from the media, yesterday was another great day for the African Continent: the peaceful recognition of the Independence of South Sudan and the birth of the 193rd newest state: the Republic of South Sudan. Once again the people of Sudan showed to the whole world their determination and capacity to come together in peace for a greater cause, as they did in January, on the occasion of the Referendum to decide on the independence of the South. Yesterday 9 July 2011, was a day of celebration after years of struggle and fighting for independence, the beginning of the fulfilment of a dream that in the course of years claimed many lives. After the referendum, many Sudanese refugees and displaced returned to their native land from the nearing countries of Uganda, Kenya, Ethiopia where they had fled because of war, and from the North Sudan. They have one thing in common: hope for the future. The Republic of South Sudan, one of the poorest region in the world: a country with 8,000,000 people, facing enormous internal problems after 16 years of the North-South civil war; with no exact border demarcation yet; still experiencing conflicts on border areas and on the Nuba mountains; with the oil dispute unresolved (the South producing the ¾ of the Sudan oil-put and the control of it in the North); with the 80-90% illiteracy, no infrastructures, good roads and development; a nation to be strengthened, where everybody is involved and plays a part in this new beginning. And this will require God’s help together with a skillful leadership dedicated to his people and free from personal interests, an active growing civil society, everybody’s readiness to work hard and the International support to rebuild and put the Republic of South Sudan on its feet. But we thank God for what has been achieved until today and for the way it has been carried out. We continue to pray that Justice, Peace and the good and dignity of every citizen in South Sudan may be safeguarded, while policies and political agreements are stipulated and signed. I thank each of you, my dearest Sisters, relatives, friends, and benefactors for praying “with and for” Sudan at this moment. I ask you to continue to pray; it is not done yet. Conflicts of interest and power games over the boundaries and the oil, ethnic and tribal fights, poverty and hunger, struggle and sickness continue to threaten this young state. 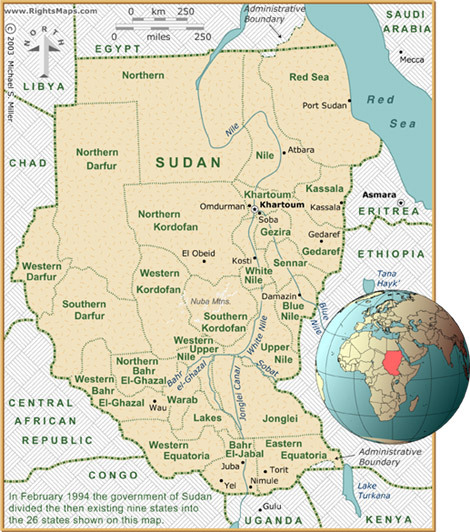 Geographically we are in the North Sudan, predominantly Muslim, while the Republic of South Sudan is Christian. Our 12 Sisters there are safe, though stressed by the tension of the uncertainty of this moment. Our ministries, however, are affected; our institutions had some Christian staff and co-workers from the South. The North Sudan Government has issued a rule that obliged all employers to terminate the work contract with employees from the South, giving them their due and forcing them to return to South Sudan. Because of this we lost many teachers and collaborators, but even with shortage of personnel, sisters continue with the mission of education and serve the students in our schools regardless of who and which religion. It remains with us now, as Sr. Margaret Peter (General Superior) mentioned in her recent prayer appeal for Sudan, the search for God’s will and the continuity of our presence in the North Sudan. Dearest Sisters, do not get tired to pray with us and for us, for the discernment we are called to do and the choices and decisions we have to make. With gratitude and affection, on behalf of the Sisters in Sudan and indeed in the name of all of us in North –Eastern Africa Province, I thank you for your sisterly support, prayer, encouragement, sacrifices, and I ask God to bless you and reward you abundantly. The Pope based his conclusion upon the story told by Jesus in today’s Gospel reading: the parable of the sower who plants seed with different degrees of success. Let us remember today, on the Memorial of Saint Benedict, to pray for our Pope, Benedict XVI, that he may continue to lead the Universal Church with wisdom and grace. St Benedict, pray for us. 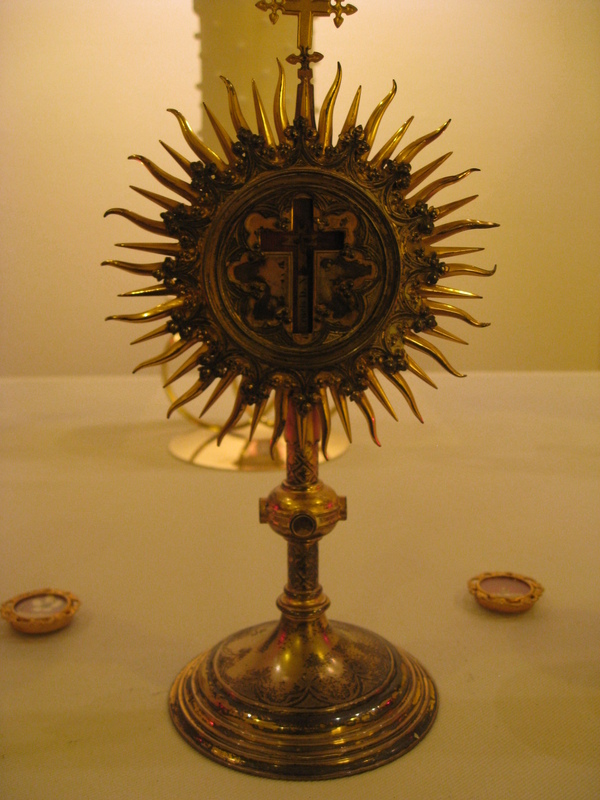 “Exult, all creation around God’s throne! Jesus Christ, our King, is risen!” So are the words in the Exultet sung throughout Catholic Churches tonight. The words are meaningful, purposefully providing a catechesis on our salvation through the victory of Jesus and His Cross and Resurrection. “This is the night…” the cantor sings. At Jewish Passover, the youngest asks, “What makes this night different from all others?” This question sets the stage for the retelling of how God has worked in the lives of the Jewish people throughout their history. The Easter Vigil is the Christian telling of their salvific history through God’s intervention. Following the homily, the emphasis shifts to the Sacramental life of the Church – in particular the reception of Baptism, Confirmation and Holy Eucharist. Tonight is the night the Church welcomes those who have been preparing to enter the Church, and will be received in full communion through baptism, confirmation and first holy communion. 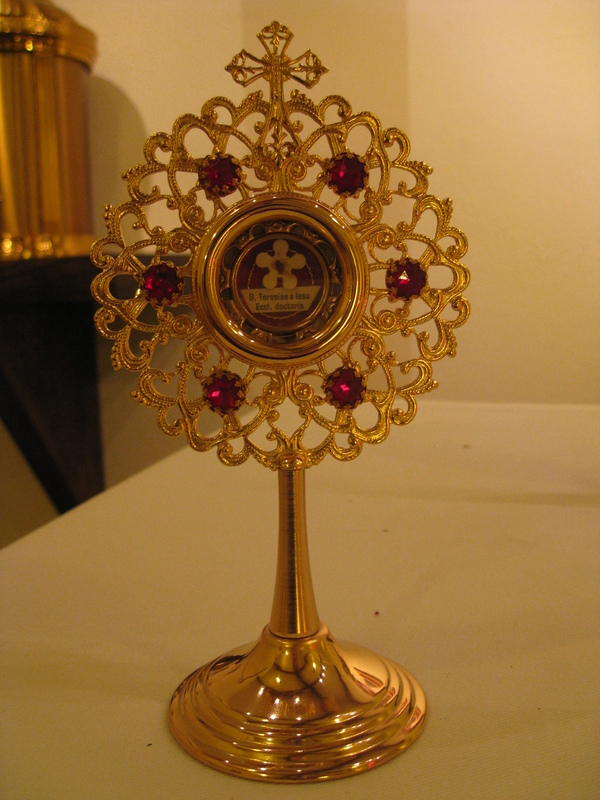 It is also a time where converts to Catholicism are welcomed into full communion through confirmation and communion. Why is this night different from all nights? It is a night of telling our salvation history, and proclaiming in faith our faith in God through our being baptized into Christ, living out His love through our sacramental life and our service. Let us rejoice and exult! Jesus Christ, our King, is risen! tótius orbis se séntiat amisísse calíginem. V/: The Lord be with you. R/: And also with you. V/: Lift up your hearts. R/: We lift them up to the Lord. V/: Let us give thanks to the Lord our God. R/: It is right to give him thanks and praise. V/ Grátias agámus Dómino Deo nostro. toto cordis ac mentis afféctu et vocis ministério personáre. et véteris piáculi cautiónem pio cruóre detérsit. Mare Rubrum sicco vestígio transíre fecísti. quæ peccatórum ténebras colúmnæ illuminatióne purgávit. quæ talem ac tantum méruit habére Redemptórem! in qua Christus ab ínferis resurréxit! et nox illuminátio mea in delíciis meis. de opéribus apum, sacrosáncta reddit Ecclésia. 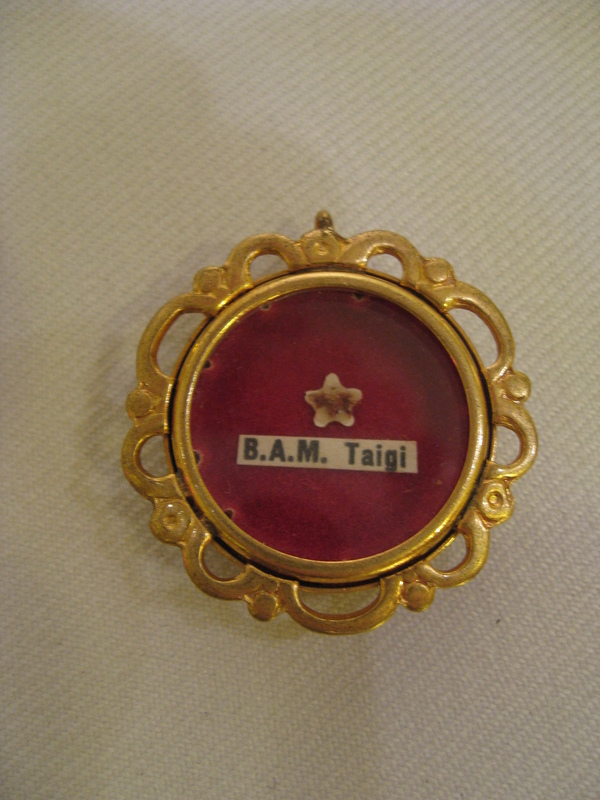 to the honor of God. quam in honórem Dei rútilans ignis accéndit. mutuáti tamen lúminis detrimenta non novit. ille, inquam, Lúcifer, qui nescit occásum. Come, let us adore the Cross, through which our Salvation has come. Heavenly Father, we pray for Pope Benedict XVI as this year’s World Youth Day approaches. We pray for a New Evangelization of the youth through this year’s World Youth Day. Please bless all who attend and all who follow the events from afar. 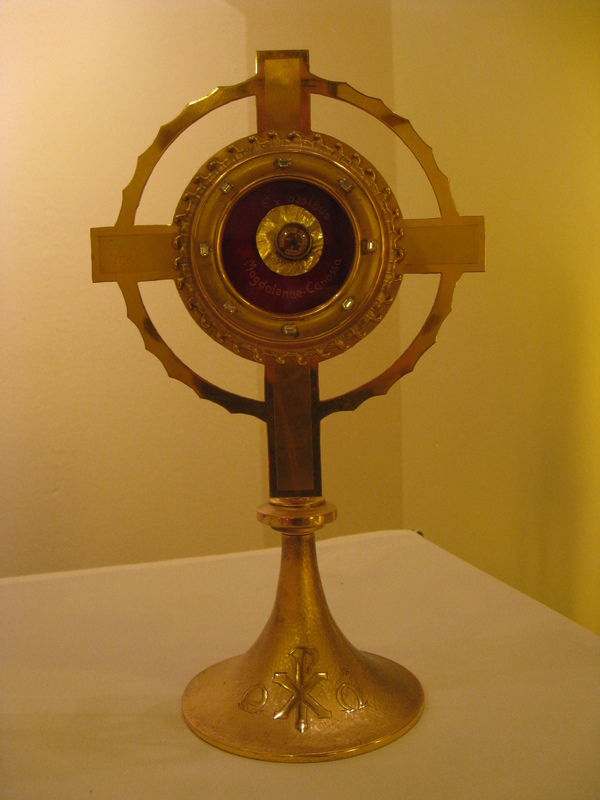 Give your servant Benedict XVI the words to bring all those in attendance closer to Christ. Lord, source of eternal life and truth, give to your shepherd, Benedict XVI, a spirit of courage and right judgment, a spirit of knowledge and love. 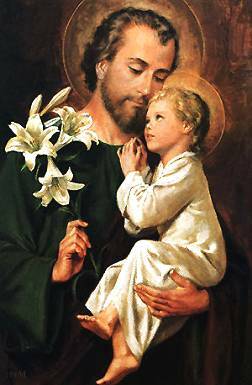 By governing with fidelity those entrusted to his care, may he, as successor to the Apostle Peter and the Vicar of Christ, build your Church into a sacrament of unity, love and peace for all the world. Let us pray for Benedict, the pope. May your hand be upon your holy servant. And upon your son, whom you have anointed.